on the beach. What's better?! 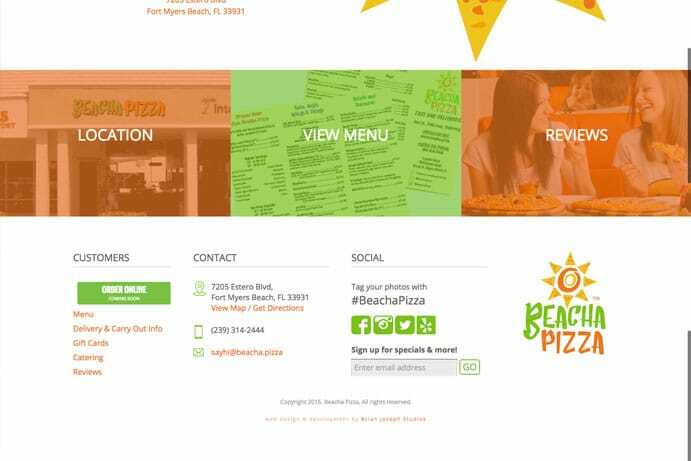 During the summer of 2016, we worked with Beacha Pizza to help them launch their new business on Fort Myers Beach. 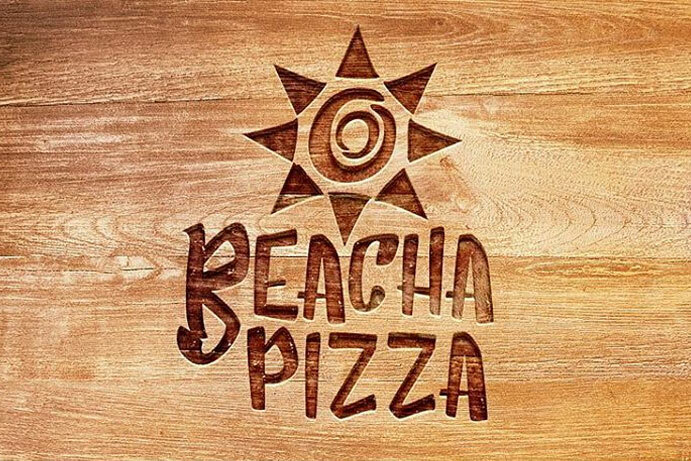 Beacha Pizza delivers pizza (and other items!) quickly to locations throughout South Fort Myers Beach, from Publix to Lovers Key Resort via their awesome electric bike! 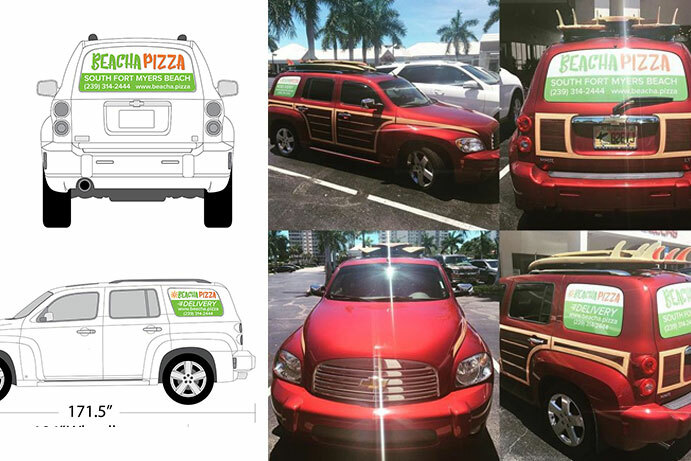 Licensed to speed along the sidewalk, this innovative delivery method beats out the busy season’s traffic. 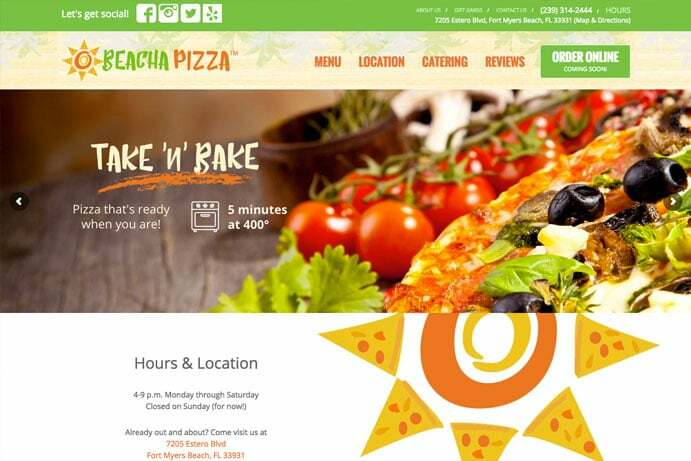 The Brian Joseph Studios design team developed everything from the brand identity to the website. 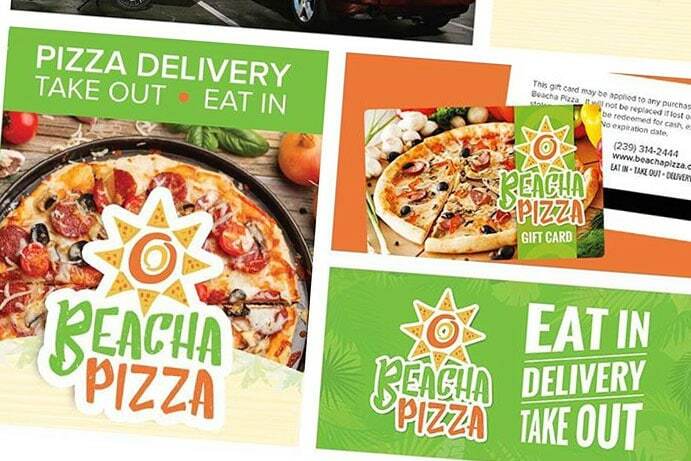 There’s nothing more rewarding for us than to be responsible for creating the entire look of a new startup, and allowing us to develop all aspects of their brand and online marketing ensures that the message is consistent, memorable and of course, looks fantastic.